Baker Perkins’ Simplex Rounder forms divided dough pieces into ball shapes for easier handling and better presentation to provers and forming equipment. It gently rolls the dough pieces using open trough profiles to preserve the internal dough structure. As well as forming the ball shape, the process also conditions the surface of the dough pieces for easier handling downstream. The Simplex Rounder can handle smaller piece weights up to 900g. Stainless steel scrap trough at the base of the vertical band. Food quality band materials in contact with the dough. Non-stick coated clamp bars hold the trough liners. Four lockable wheels in place of leg pads fixed to the floor. 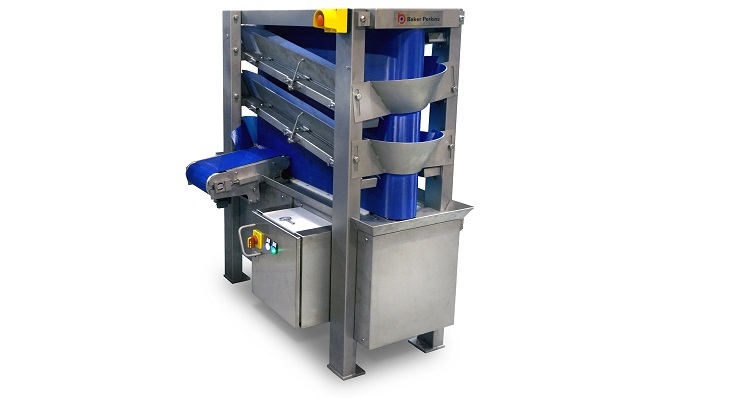 Integral feed conveyor with its own drive motor; this hinges up for cleaning underneath. For high output rates and discharge onto a conveyor, an overhead driven roller is used to control the pieces as they fall down the discharge chute. The moulder has a vertical moulding band driven by a motor and gearbox below. Four angled moulding troughs are placed on the two long sides. These are hinged so that the operator can quickly adjust them for optimum moulding of the dough piece size being produced. Flexible liners inside each of the four troughs. Controls built in with start/stop and fan on/off switch. Fan with removable filter is fitted in the base of the machine. Left and right hand variants. Discharge can be at the end or side. Height of the legs can be varied to suit the discharge height required. 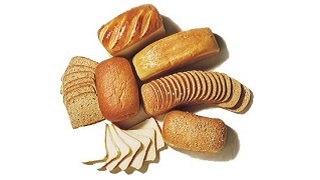 View some of the bread products that can be made on Baker Perkins' bakery process line. Baker Perkins offers all customers facilities to develop new products and processes, produce samples for test marketing, and conduct feasibility trials.